One of the recurring themes of Disney Villainy is vanity. It isn't exclusive to the female villains, either, as Gaston has proven. In Snow White and the Seven Dwarfs, Disney's first animated feature, Snow White's stepmother is obsessed with being the most beautiful in the land and becomes murderously jealous when Snow begins to mature into a woman lovelier than she. Ironically, the Queen sacrifices the very beauty she cherished in an effort to poison her rival. 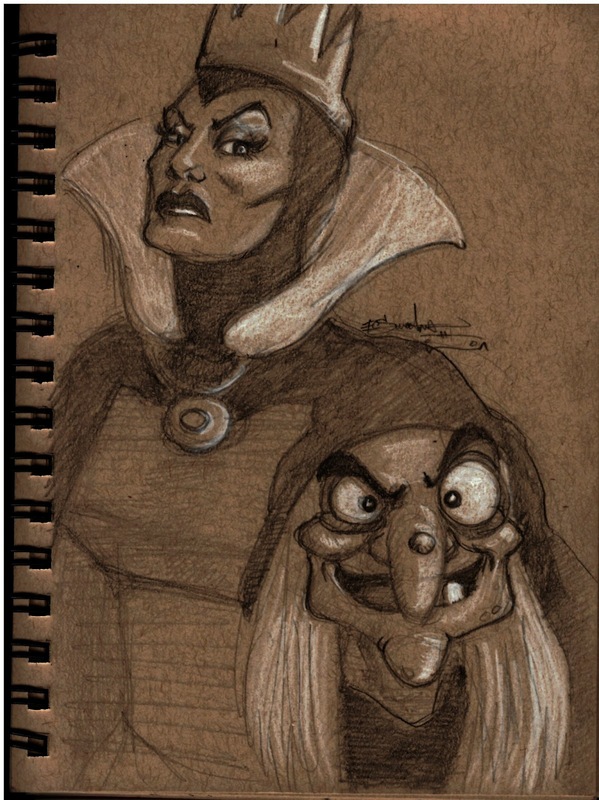 In this image, I present the cold, arrogant beauty of the Queen in contrast with her magical disguise.